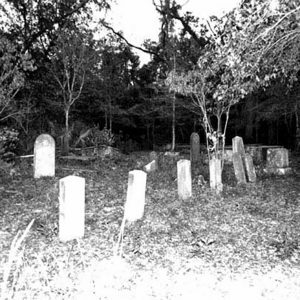 Pre-dating the American Revolution, this plantation cemetery was the burial site for members of the Hamlin, Hibben and Leland families. Generations of both white and black families are interred here. Thomas Hamlin established Copahee Plantation here in 1696. In 1881 African American farmers bought 31 10-acre lots from the Hamlins and founded the Hamlin Beach community. White and black descendants still live here today.